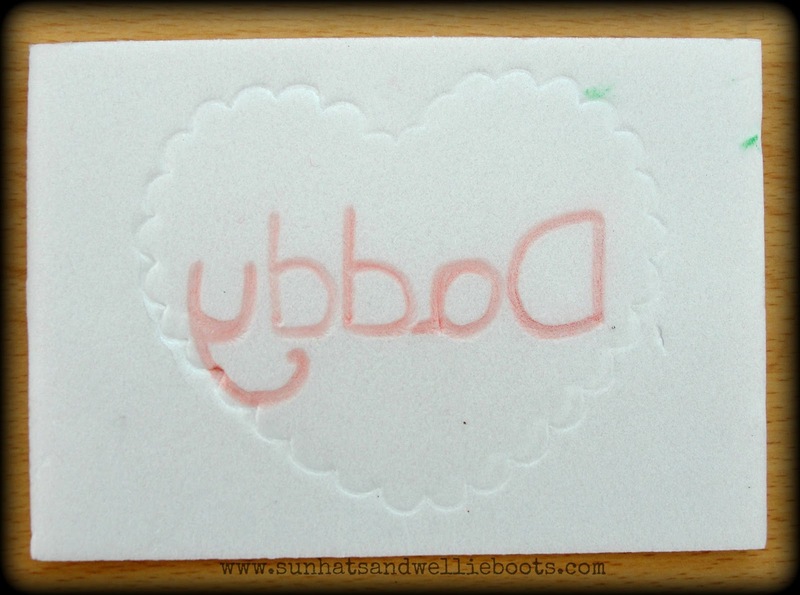 This simple printing technique is ideal for younger children to explore & produces some amazing results. 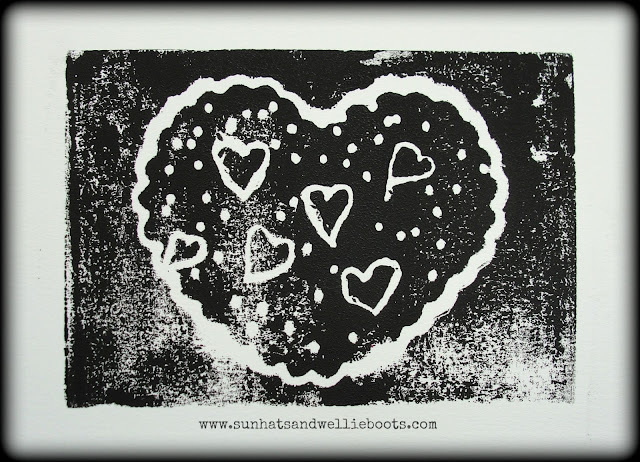 I love the effect of lino printing, but even soft linoleum can be a little tough for young children to create with. 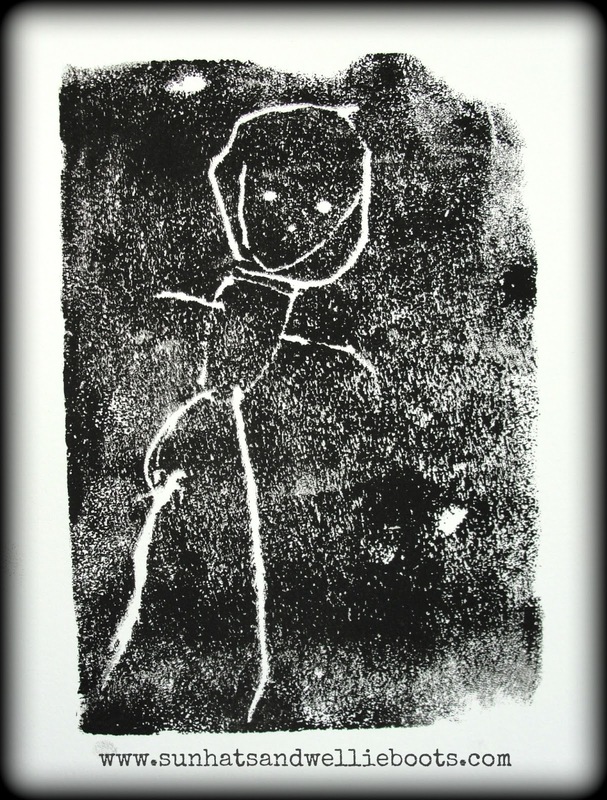 This process gives a similar result, but offers younger children more freedom to create independently. I cut rectangular tiles out of the polystyrene ready for Minnie to create with. 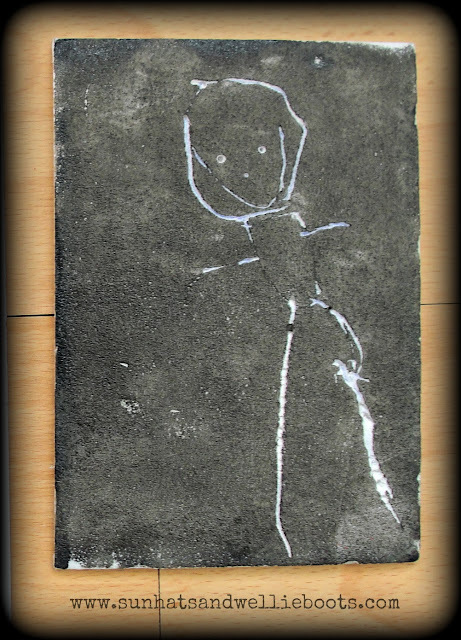 Using a ballpoint pen she gently pressed onto the tile to create her design. This takes a little getting used to, & the harder you press the more tricky it is to draw on the foam & it can start to split. 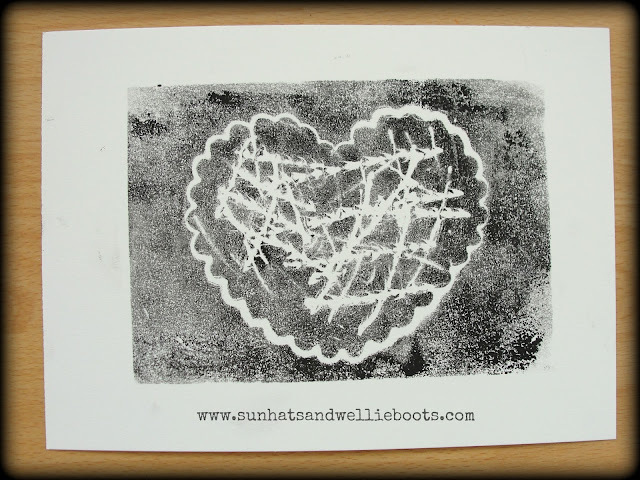 Here's what her design looked like once printed onto paper. 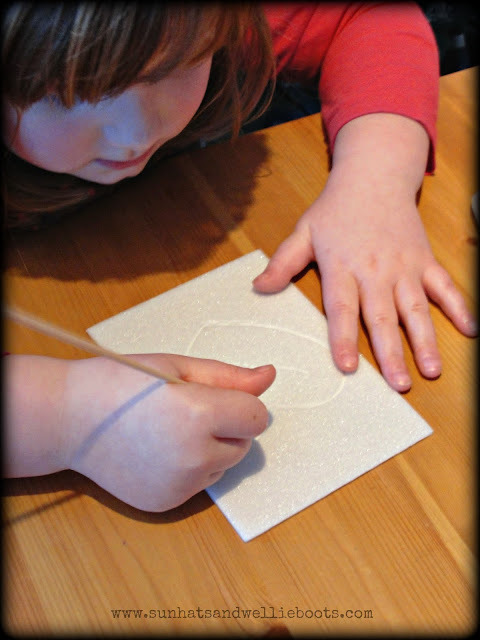 She clearly enjoyed this activity, so I bought some polystyrene sheets for future crafts. 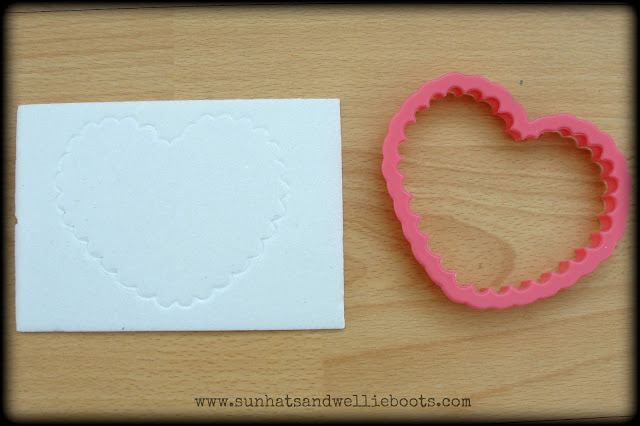 Yesterday we experimented with cookie cutters & discovered they make great templates when pressed onto the polystyrene. After making the template with the cookie cutter Minnie started to create her patterns, this time using a pencil. 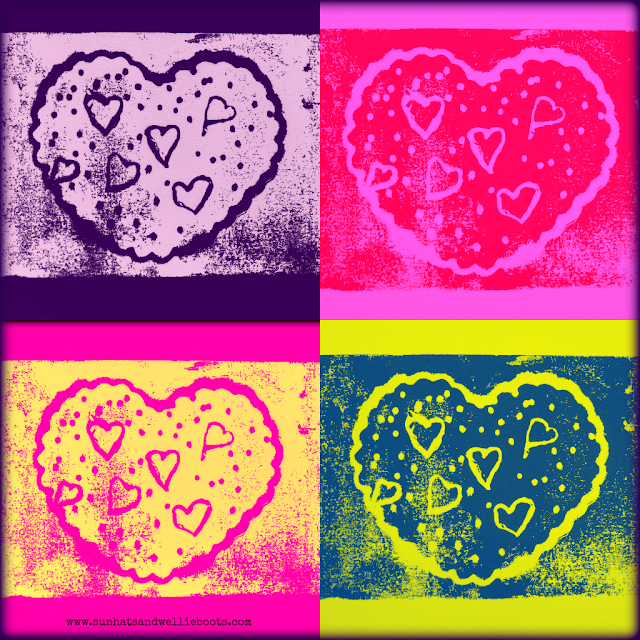 She wanted to create smaller hearts & asked me to draw these so she could trace over them. Once her tile was finished she was ready to print. 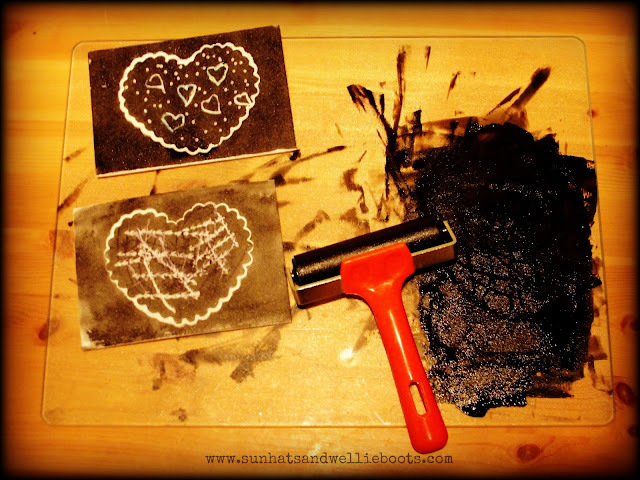 Using the ink roller she added the ink from the chopping board & rolled it over her tile which she loved!! She carefully lifted up her tile & pressed it down onto the paper. To make sure the design prints evenly rub your hand firmly over the back of the tile & then carefully lift it away from the paper! Watching the excitement & surprise on Minnie's face as she did this was fantastic! 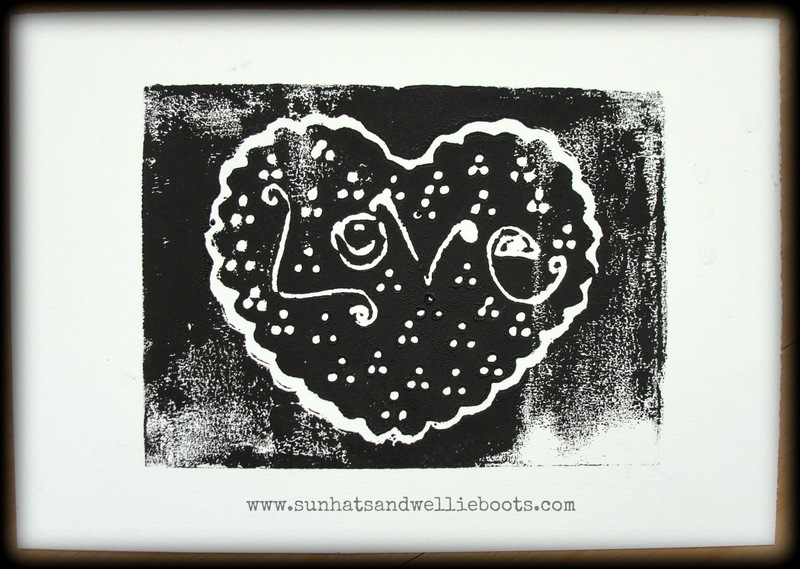 Here are a couple of her printed designs. 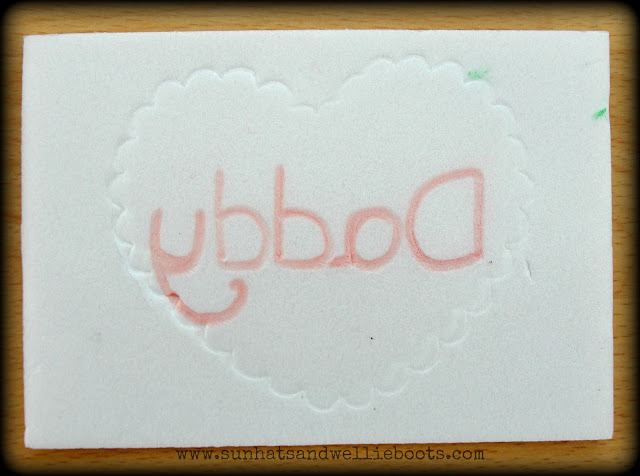 If you want to add any text to a tile you need to use mirror writing so that it appears the right way round when printed on the paper. Obviously this was tricky for Minnie, so I wrote the words with a felt tip pressing lightly on the tile, & she then traced over them making the indentation with the pencil. I couldn't resist having a go myself! This is a great activity for all the family to join in with. You could create prints of each other, or design self portraits! When Minnie saw me editing the prints on the computer she was keen to have a play, & after I demonstrated how you could alter the colours she came up with these colourful prints! 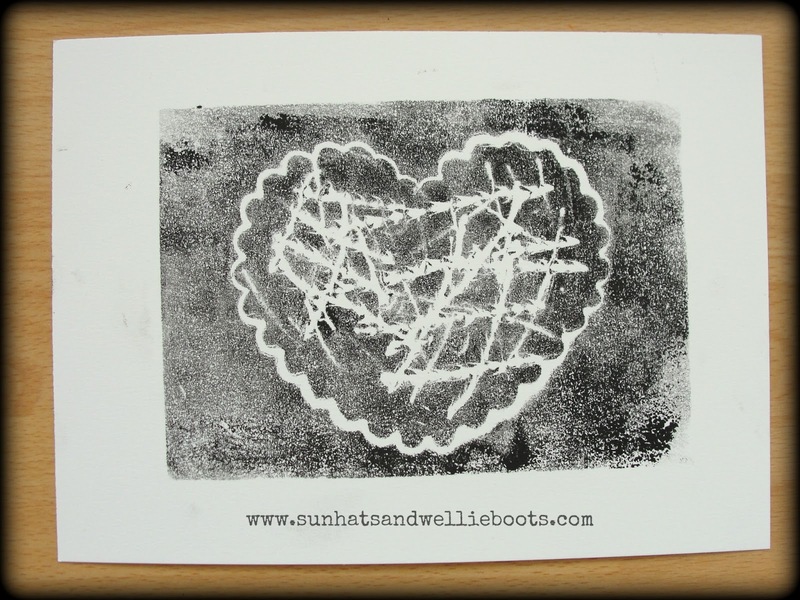 How amazing that our printing activity using recycled food packaging would end up with my 4yr old using a computer programme to create these fab prints! Follow the creativity of a child & you'll be taken on a beautiful journey! 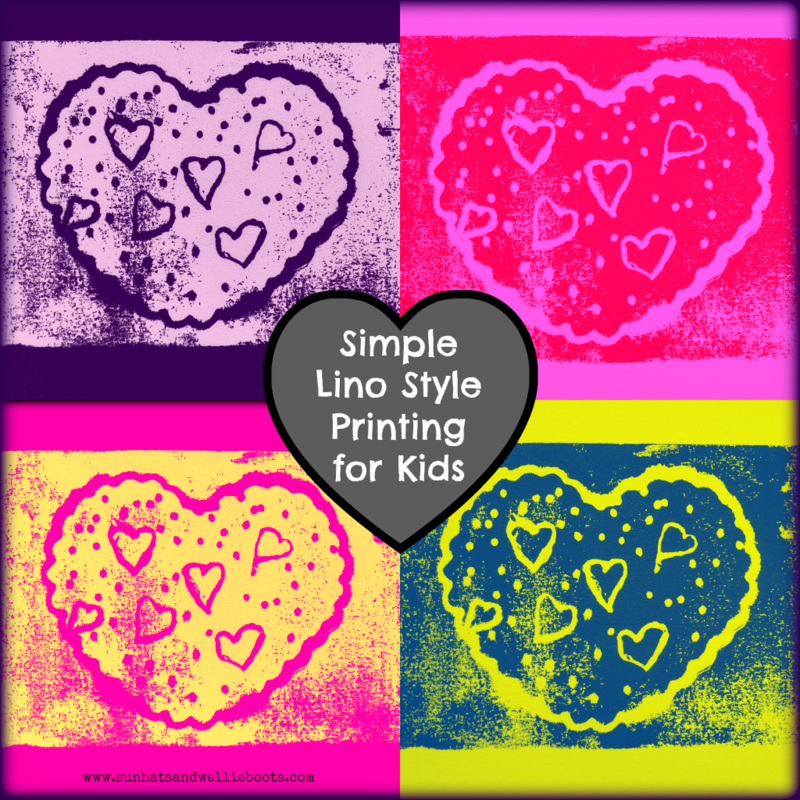 Any of these prints would make a wonderful card for Valentine's, or add them to a frame & you have a beautiful keepsake of your child's creativity.